The first fragrance to be inspired by the ocean, DAVIDOFF Cool Water is now leading the way to help protect the ocean. This summer, the brand is releasing a new film featuring its ambassador Scott Eastwood. The message of the film is a call to action to safeguard one of the world’s most precious natural resources — but also one of its most endangered. The film is an extension of DAVIDOFF Cool Water's long-standing Love the Ocean campaign in support of the National Geographic Society’s Pristine Seas project, which aims to protect 10% of the world’s ocean by 2020. The new film, which will be released on July 1, 2016, and screened across a wide range of digital platforms, steps up the Love the Ocean initiative with an individual call to action. The film’s aim is to convince each and every one of us that we can make a difference. 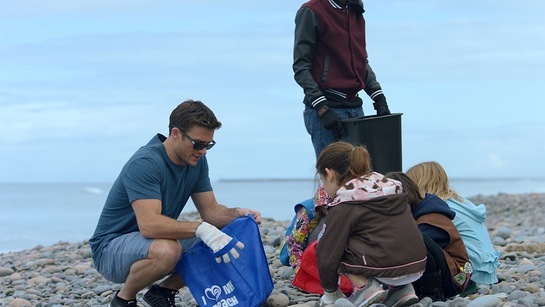 “As individuals, we have more power to change the world than we think,” says Scott Eastwood, who — having been born in California and raised in Hawaii — feels a special connection to the ocean. By extending its Love the Ocean initiative with an individual call to action, DAVIDOFF Cool Water aims to complement the impressive progress being achieved on a global scale by the National Geographic Society’s Pristine Seas project. Since 2012, DAVIDOFF Cool Water has supported 14 Pristine Seas expeditions, which informed the establishment of five marine protected areas, totalling 1,713,518 square kilometres or 2.18% of the world’s ocean. DAVIDOFF Cool Water has a long-standing partnership with the National Geographic Society’s Pristine Seas project — which involves scientific expeditions to explore and document fragile marine environments across the globe. Every year, DAVIDOFF Cool Water mobilizes its millions of loyal users worldwide around the Love the Ocean initiative, with the commitment that each bottle of DAVIDOFF Cool Water sold will help protect 10,000 square metres (more than 100,000 square feet) of ocean. Visit love-the-ocean.com to learn more.